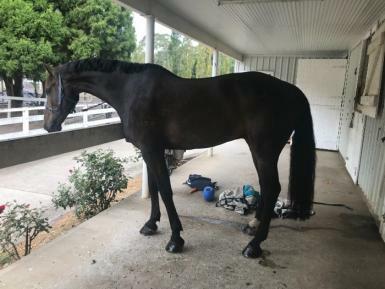 This beautiful horse has been part of our family for 4 years. 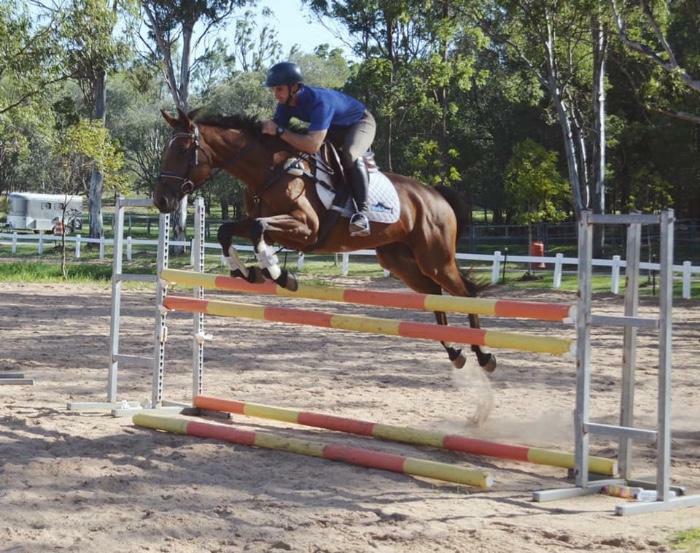 We purchased Ego Caradoc as a green broken 4 year old and he has been a pleasure to bring along in every way. 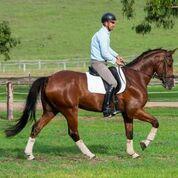 He’s a total gentle giant at 17.1hh, has a huge personality and loves attention. 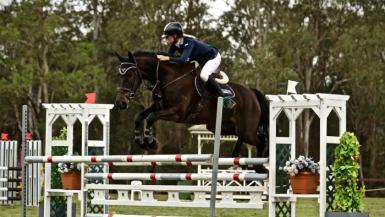 Caddy has had many successful achievements along the way. 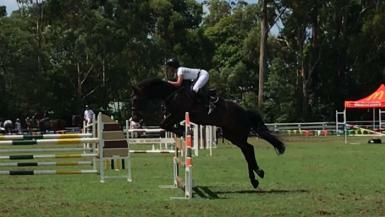 In his very early show jumping days he won the 4 year old class at jumping with the stars at SIEC. 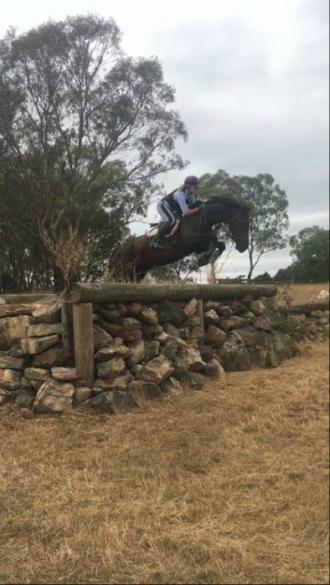 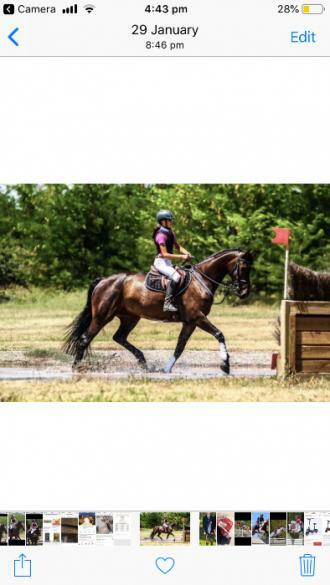 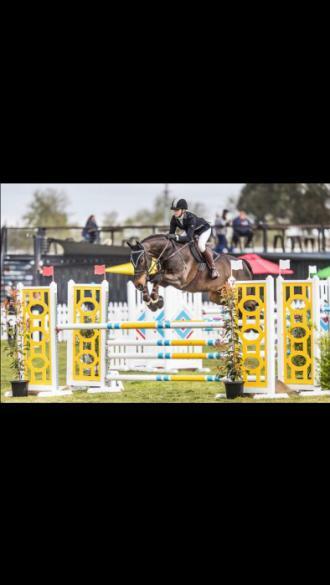 He spent his first couple of years climbing up the grades in eventing, he competed successfully to Pre novice level then had a big spell to grow and mature. 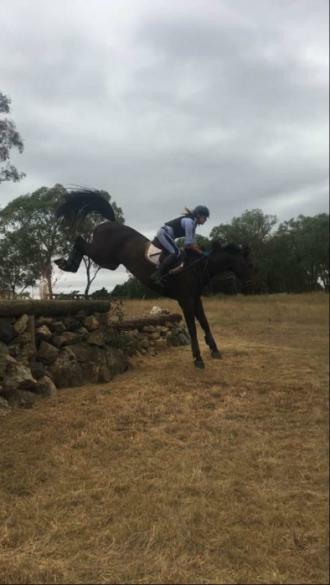 He was then leased by a friend where he spent the next 12 months jumping around the Amateur classes. 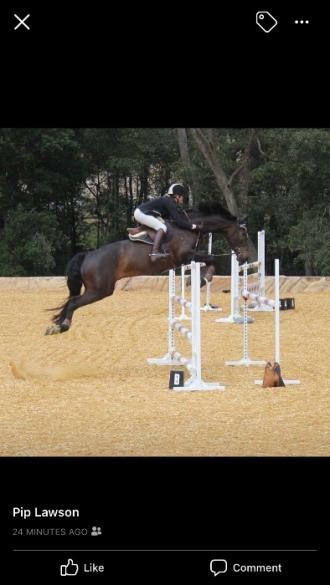 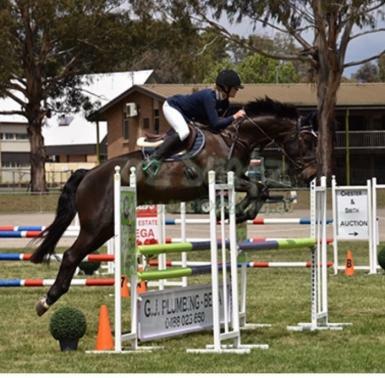 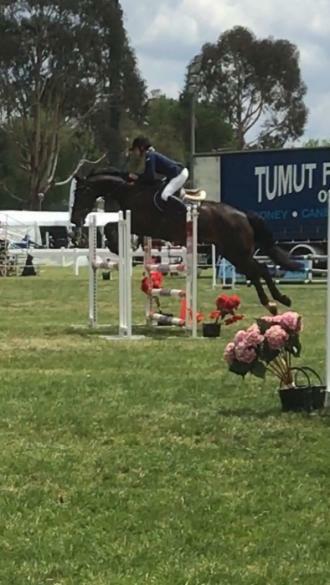 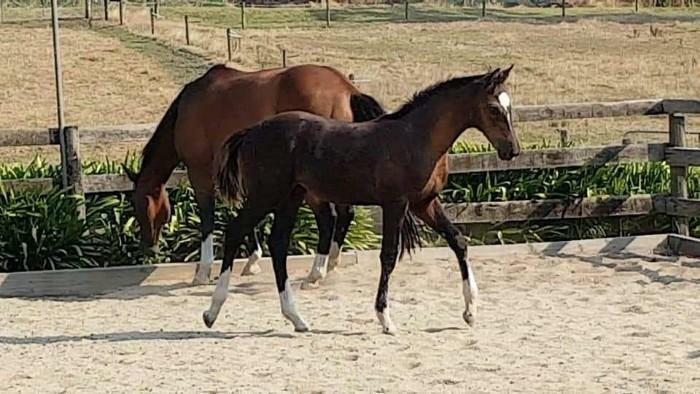 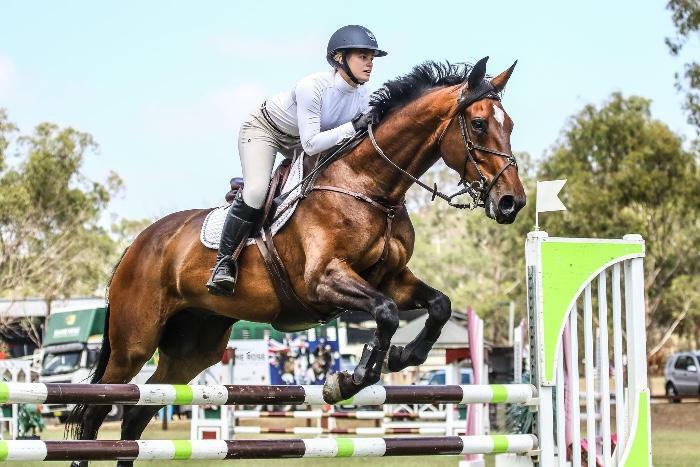 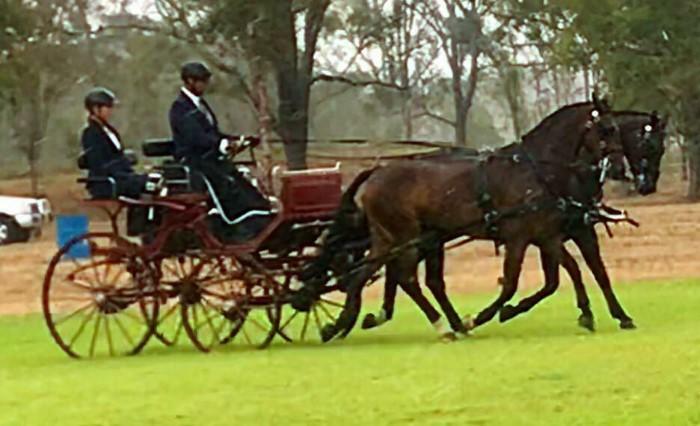 He has started the 2019 season with success, winning the 105cm at the Bowral show in Jan then coming 2nd at Wallaby Hill Extravaganza. 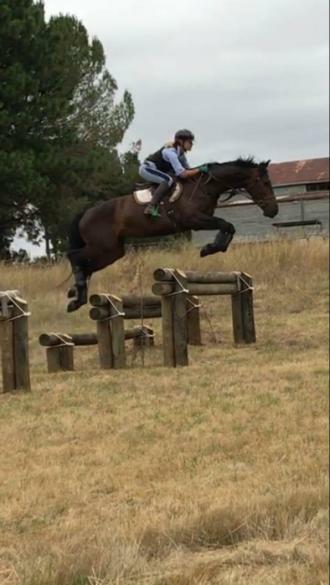 Caddy is extremely competitive around the 110cm and is happy to jump the bigger courses also but as he’s a colder type by nature he needs a rider with a strong seat and leg to keep the energy rolling. 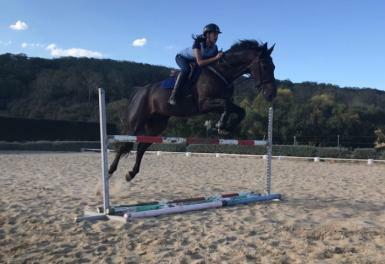 He has recently started competing around the 125cm classes. 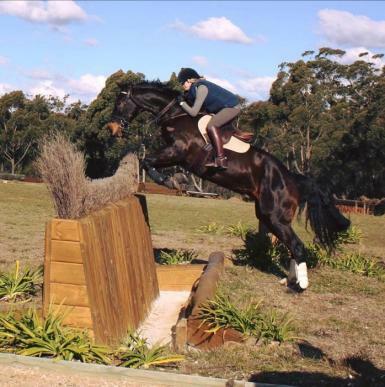 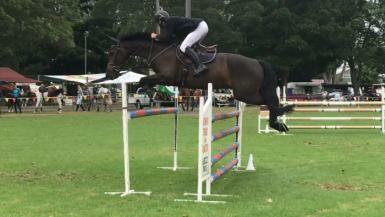 He is super brave xc, has always jumped anything for me and has schooled up to 3* fences. 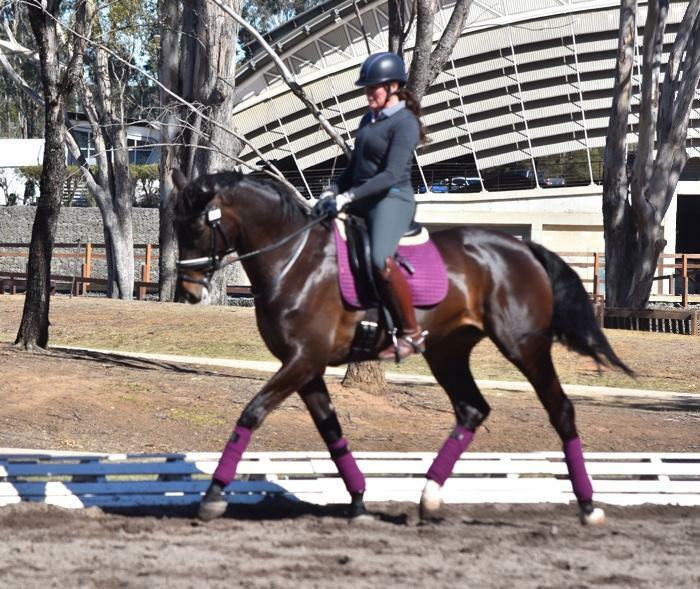 He also has beautiful big ground covering strides and goes beautifully on the flat he has schooled laterals and has balanced clean flying changes. 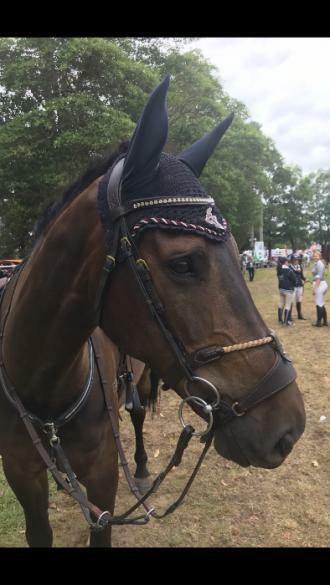 Caddy has been ridden by my 13 year old daughter with ease, he’s a real confidence booster as he has the most adorable calm and safe nature. 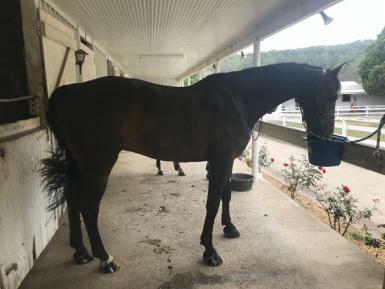 Any questions please feel free to phone. 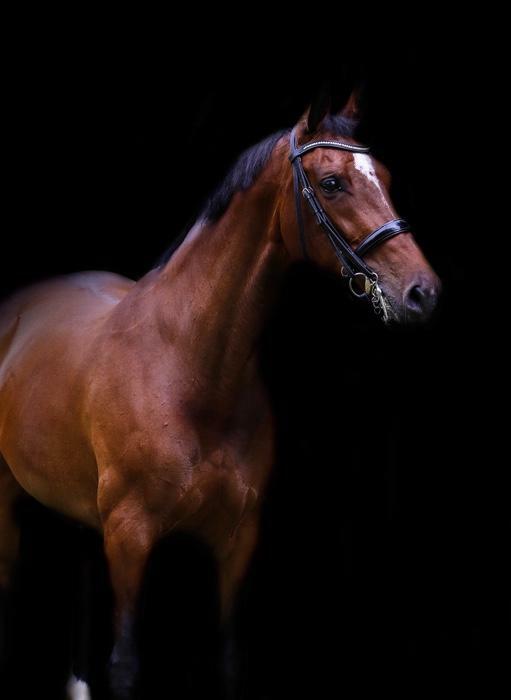 Its going to be very hard to see this man go so the right home is paramount for us.